For many users, smartphones and tablets are the first choice for all online activities. Research firm IHS Market predicts that by the year 2020, over six billion smartphones devices be in use — an increase of 50 percent from 2016. The rise of mobility is affecting government as well, as more and more public sector offices are integrating government mobility technology into both core work processes and everyday activities in order to boost productivity and cut costs. Ease of use, convenience, portability and a surge in new mobile apps are all contributing to the spike in mobile technology usage. In particular, millennials prefer to use mobile devices as a “one-stop” entry point into cyberspace for both home and work purposes. Whether the mobile device is personally owned or not, many federal, state and local governments around the world now have policies and procedures that allow employees to mix personal and professional use. The bring your own device (BYOD) trend has become the new Wi-Fi, with more employees than ever using their own devices for both work and personal use. This trend has become more widespread in government over the past several years. Last year, FedTech Magazine reported that federal agencies are turning to BYOD to attract new workers and reduce cost. The article references a 2014 report from the Government Accountability Office, which states that by September 2017, around 31 percent of the government’s workforce will be eligible to retire. To retain the new generation of employees, government agencies must embrace mobility. “Whether in the office or on the go, the younger generation expects to be able to connect with people, files and workflow tools, securely, from anywhere and on any device,” says Faisal Iqbal, the senior director of sales for the U.S. public sector at Citrix. An increase in mobility also improves workplace efficiency and reduces cost. For example, McKenzie Smith, founder of INorupt, an online tool that connects social services and technology, points out how mobile apps can help social workers gain access to client data more easily in the field, which saves time, improves quality and reduces data entry. This increase in mobility brings us to the all-important questions surrounding data security for government mobility applications: How can public sector organizations protect sensitive information while still allowing personal use of smartphones? What are the latest advances in mobile security? Are there ways to add trust to BYOD programs in government? One concern expressed by government technology leaders has been the rise in “shadow IT,” which results when employees bring in their own devices and use them for work — even when it’s against the rules. According to CIO Magazine, this “consumerization of IT” trend is rampant in federal government. The answer proposed isn’t to issue more stringent policies, but to offer a secure container with mobile device management (MDM) to ensure that data stays separate and secure. Experts say that system administrators, security executives and technology management need to “get to yes” by coming together to offer workable solutions that enable employees to do more with less. Give end users the mobile capabilities they’re looking for at home and work, and take another look at the latest security features available to manage data and applications securely. Is it time for a mobile security assessment? 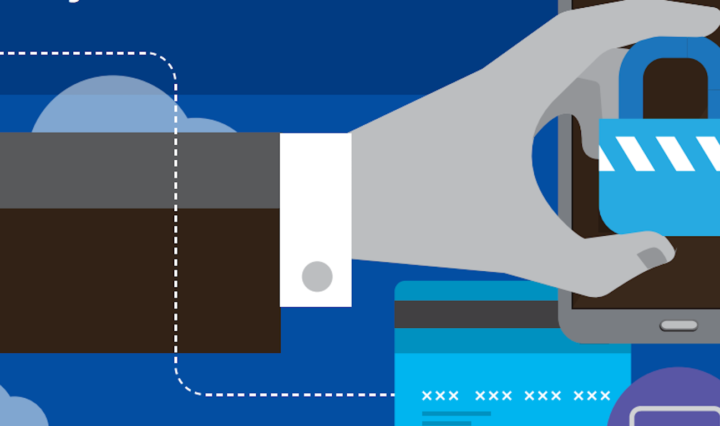 View the infographic to learn how to develop a clear mobility strategy. For example, Samsung Knox Workspace offers an on-device container that isolates business applications and data from personal ones with government-grade security. It also offers enhanced granular controls over device features to enterprise IT administrators. This solution also easily integrates with MDM solutions on the market to provide both ease of use and the needed level of data separation to meet government standards. In addition to MDM solutions, training end users is an essential element of mobile security. Training should be brief, frequent and fun — while focusing in on key topics like phishing scams and password best practices. Gamification and interactive content helps engage staff and teach helpful tips. New government opportunities, which eliminate paper intensive processes and automate workflow using mobile applications, are surfacing daily. The replacement of legacy applications can provide cost savings and attract the next-generation workforce at the same time. Millennial workers are demanding a paradigm shift that may seem radical, but is coming to pass before our eyes. A secure, mobile-driven government can be a reality, if the right industry tools are put in place. The lasting security answers must involve people, process and technology to be effective. How can you help millennials working in government achieve a work-life balance? Here’s how to prioritize flexibility without compromising security.